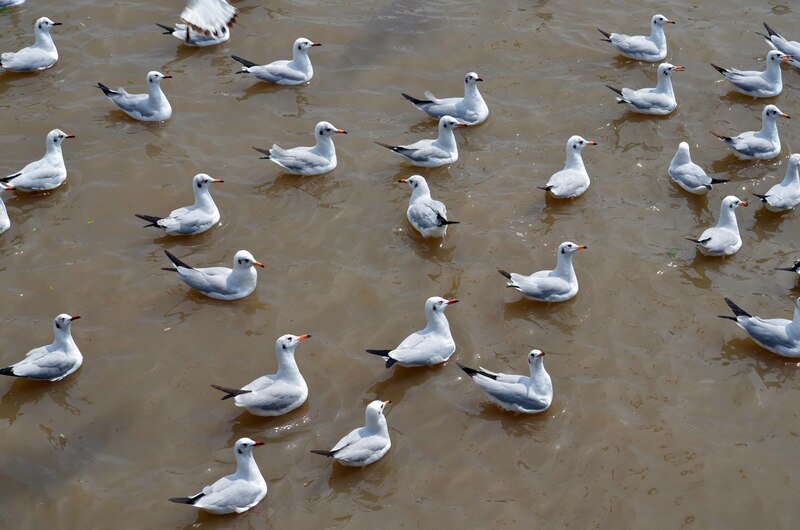 Brown-headed gull (Larus brunnicephalus) is a migratory species, which in summer breeds in central Asia (mainly on the high Tibetian plateau), but in winter can be found on the coasts of India and South East Asian, where it occurs in large gregarious flocks. 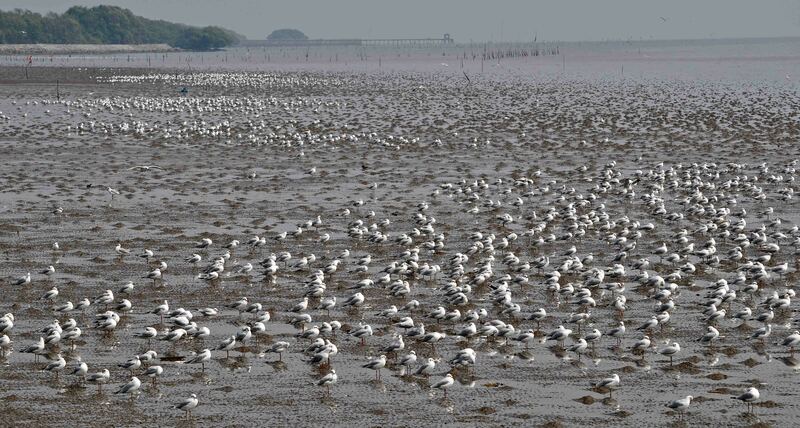 One such flock occurs in the gulf of Thailand on the mangrove mudflats at Bang Poo (a Rest and Rehabilitation Center of the Royal Thai Army), in Samut Prakan province (1, 2, 3). 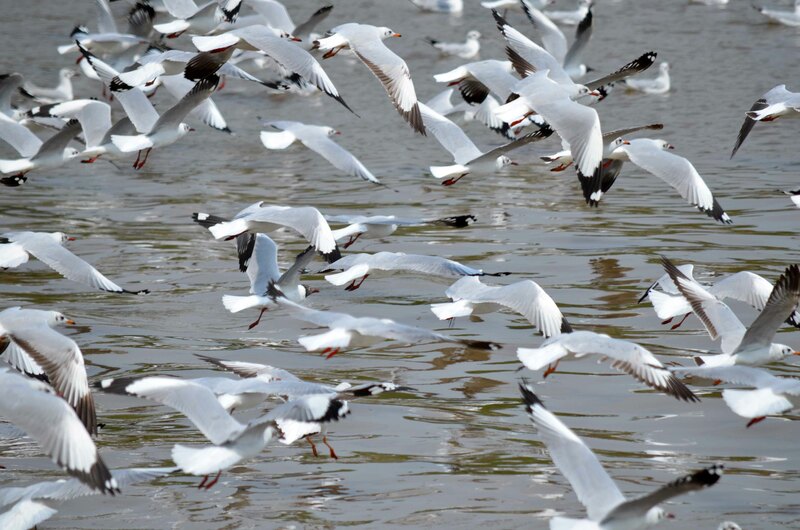 There must be several thousand Brown-headed gulls at Bang Poo with a total of about 5,000 birds feeding around the the inner gulf of Thailand (4). 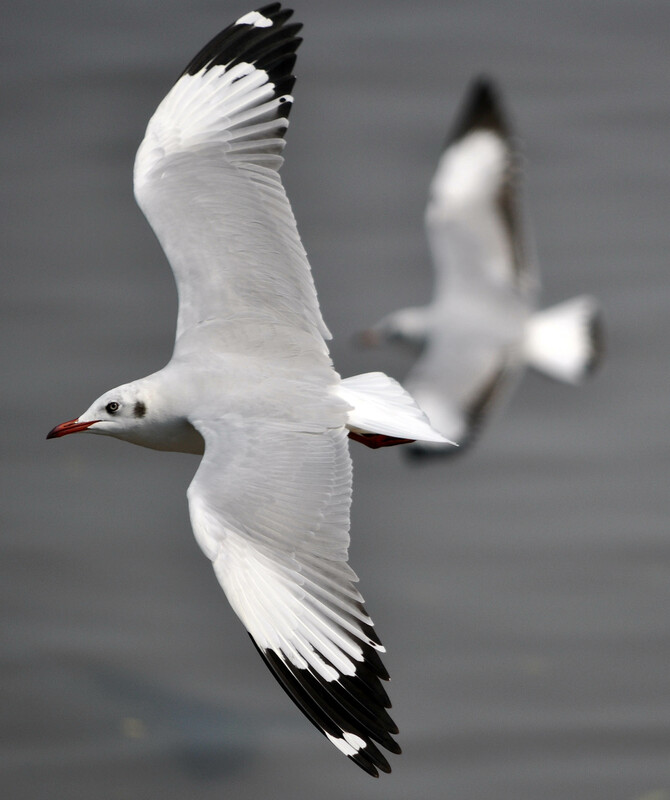 Brown-headed gulls are between 41-43 cm in length, with a wingspan of between 105-115 cm (see below). 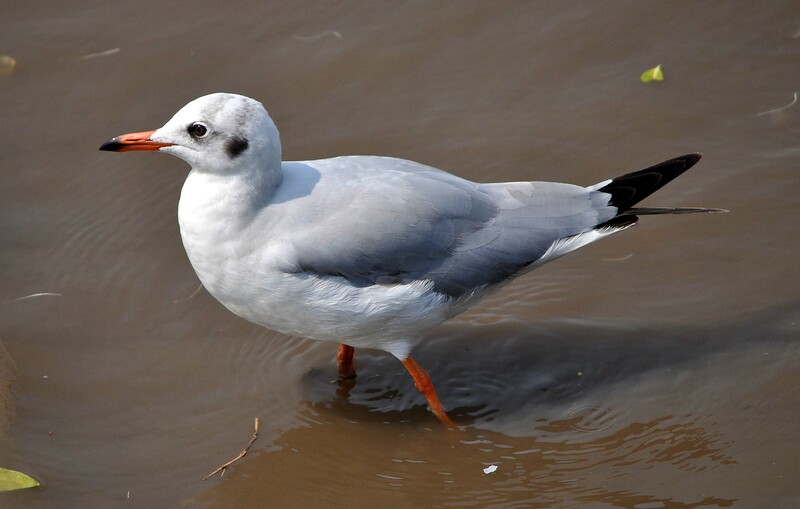 It is marginally larger and stockier than the Black-headed gull, with a flatter crown and a slightly stouter bill (1). 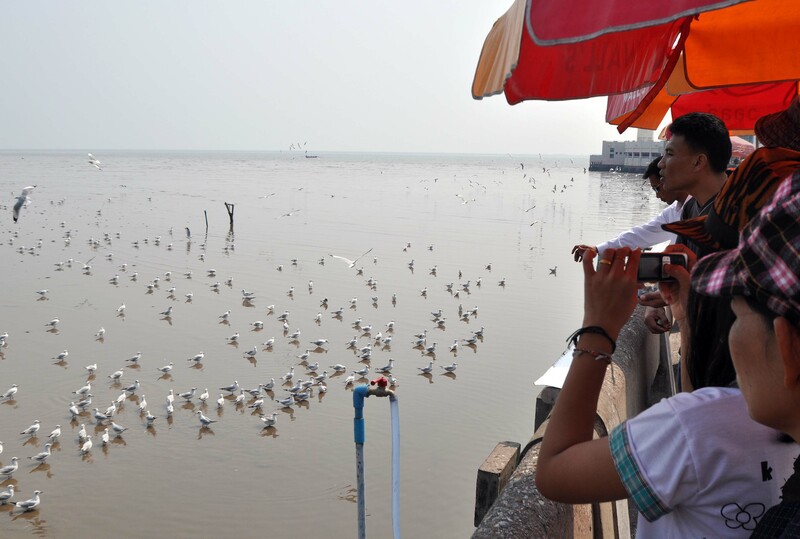 The birds are popular with visitors to the pier at Bang Poo, where vendors sell food to give to the birds. Large numbers of people visit Bang Poo at the weekend, so the impact of all the human feeding must be great (2). The exact migration route that the birds take in Spring is not fully known, but presumably they have to fly up across Thailand and Myanmar, perhaps along the Brahmaputra river in north-east India, and find a way across the Himalayas! 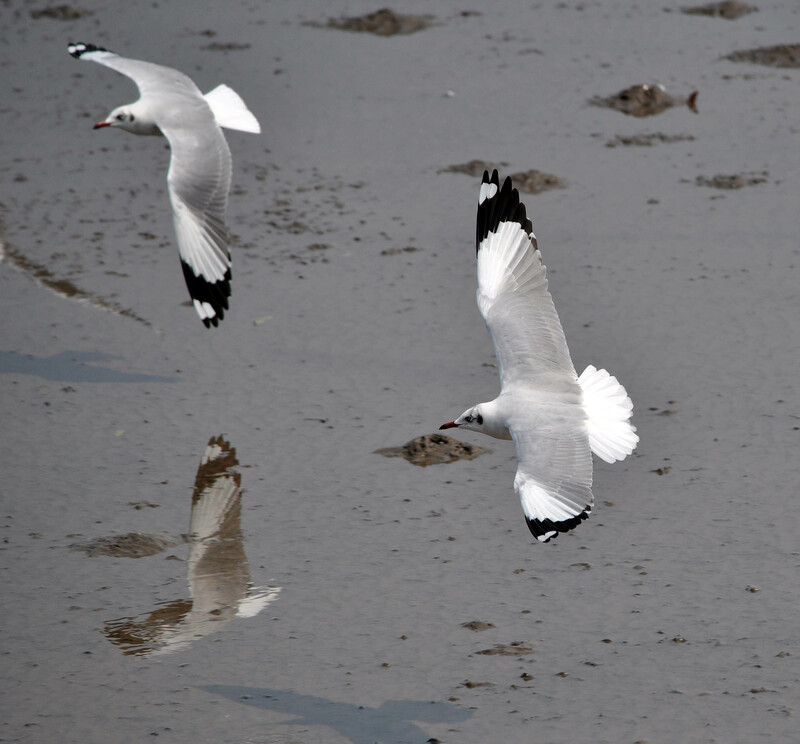 In 2008 and 2009, eight Brown-headed gulls from Bang Poo were fitted with satellite transmitters which enabled them to be tracked by the researchers (4). Amazingly, the gulls flew about 200 km per day, on average, travelling over Thailand, Myanmar, India, China, Bangladesh, Vietnam and Cambodia. They flew a total distance of about 2,400 km to reach their breeding grounds in China (Tibet, Qinghai and Xinjiang); a journey which took them about 12 days on average (4). Amazing! Also interesting, was the finding that the different individual birds stopped over at different places and journeyed to different breeding sites; they wintered together in Thailand, but went their own way to join different breeding flocks in the summer. Some birds also visited the large freshwater lake of Tonle Sap, near Siem Reap, in Cambodia, before continuing on their way north to China. Brown-headed gulls spend about 5 or 6 months in Thailand over the winter (4), but I am not sure when they start to leave, as late as May according to one report (3). When I visited Bang Poo again in late February 2013 (22 Feb) some birds were already starting to develop their summer plumage (see below). The status of these birds is Least Concern so they are not threatened (5). 1) Olsen, K. M. & Larsson, H. (2003). Gulls of Europe, Asia and North America. Christopher Helm Press. Next Next post: Fancy meeting you here! Really nice post! 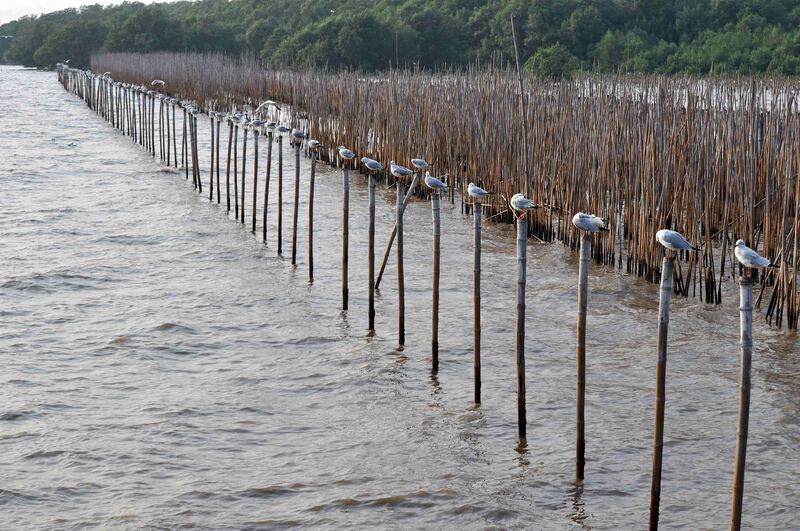 Makes me miss these birds at Bang Pu a lot. I think it’s been more than 10 years already since the last time I was there.